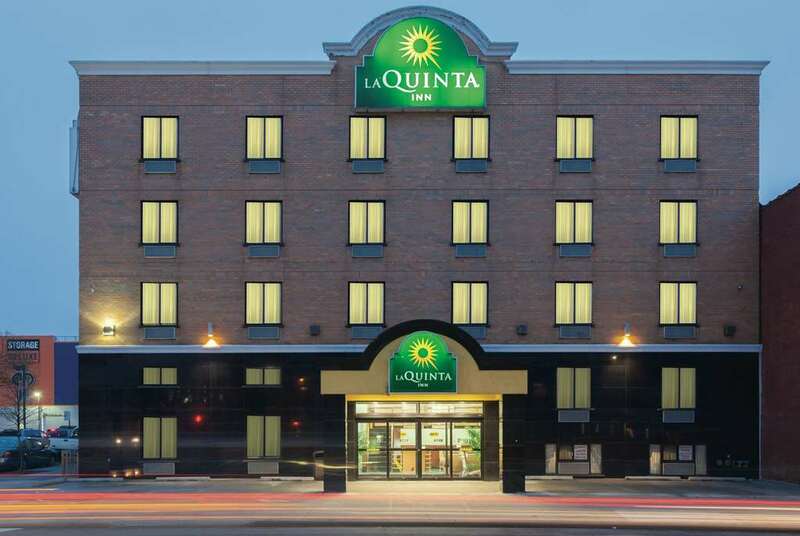 Enjoy spectacular city views and easy access to New York City's finest attractions at the La Quinta Inn Queens (New York City). Centrally located within 3 miles of Time Square, the Empire State Building, Rockefeller Center/Radio City Music Hall, and La Guardia Airport, this new La Quinta is a convenient and affordable solution for any type of traveler. Each elegantly furnished guest room features free high-speed Internet access, a refrigerator, coffee maker and more. If you're traveling on business, the hotel offers a convenient on-site business center and spacious meeting facilities. All guests are welcome to a Free Bright Side BreakfastTM in the lobby each morning. Property has limited parking spaces available. Enjoy spectacular city views and easy access to New York City's finest attractions at the all-new La Quinta Inn Queens (New York City). Centrally located within 2 miles of Time Square, the Empire State Building, Rockefeller Center/Radio City Music Hall, and La Guardia Airport, this new La Quinta is a convenient and affordable solution for any type of traveler.